Arizona will be voting on legalization this November, it just took them a while to get here. No biggie. Arizona has had a rocky start to getting its legalization initiative on this year’s ballot. There’s been a lot of back and forth in terms of qualification and the written mechanics of the bill. While opponents of the measure are still clinging to the hope that it ill be removed from the ballot, it appears that this time, they’re completely out of luck. So, just to clear things up, Arizona will be voting on legalization this November, it just took them a while to get here. No biggie. 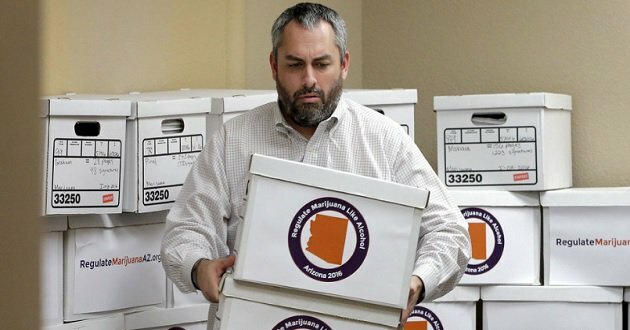 After it was revealed that Prop 205 would be listed on Arizona’s November ballot, legalization opponents swooped in to make a scene. Naturally, there was nothing fraudulent or misleading about Prop 205, and Maricopa County Superior Court Judge Jo Lynn Gentry knew this very well when she shut down ARDP’s attempt at killing the bill. So now, it will be up to Arizona voters to decide on wether or not they want to legalize recreational cannabis in their state. Not the ARDP. So, what should you know if Prop 205 does indeed get passed this November? The latest poll, which was released at the end of August reveals that it’s going to a close one. As of now, only about 40% of Arizonans support the measure while 51% oppose it. Past polls have shown that passing this measure is possible, however, the current average of supporters falls slightly behind those who oppose it leaving an average of 44.3% in favor of Prop 205 and 46.7% against it. Like I’ve sad before, at the end of the day, everything will be left up to the voters , and ya can’t mess with democracy, folks. Until then, we’ll be sending positive vibes to our friends in Arizona. Stay cool, guys. Do you live in Arizona? Will you be voting on Prop 205 this November? Let us know on Facebook, Twitter, or in the comments below.